The spork multi-tool is one of the most versatile survival tools you can own. Although great for a camping utensil for meals it can also be used while hiking, backpacking, hunting, and more. 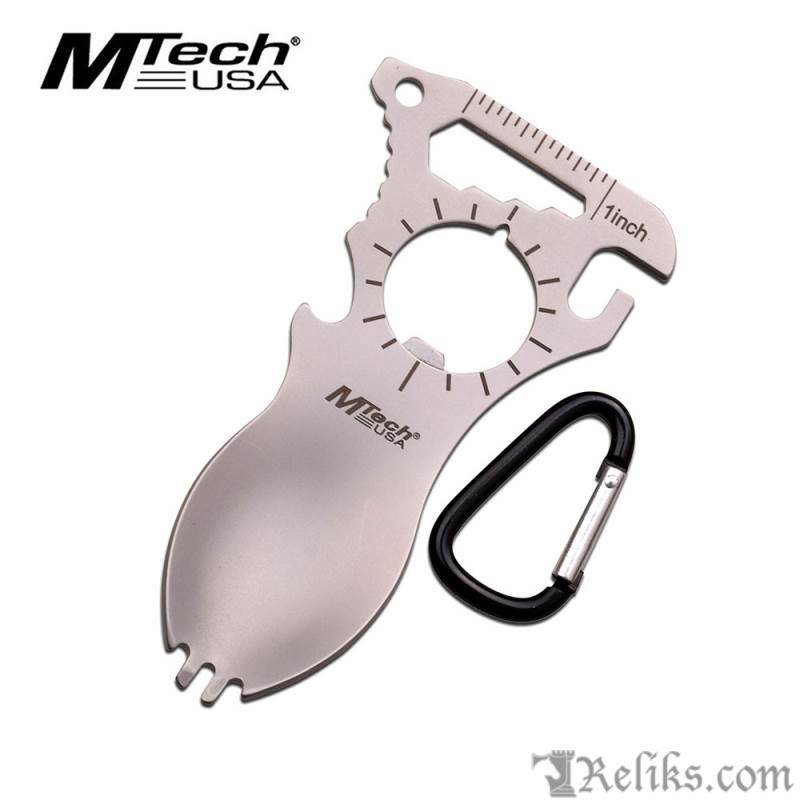 Multi-tool capabilities include bottle opener, can opener, flat head screwdriver, ruler, pry tip, four-position hex wrench plus more. The Spork Multi-Tool is constructed of stainless steel with a matte finish and also includes a carabiner for easy access when clipped to your backpack. Spork Multi Tool - The Spork Multi-Tool is constructed of stainless steel with a matte finish and also includes a carabiner for easy access when clipped to your backpack.